AUSTIN — The pressure facing the Texas Longhorns football team this week is not just to beat the Golden Hurricane, and soundly – it’s to make sure that the errors from Week 1 have been addressed, rectified and will not repeated. Heading into Texas’ home opener with Tulsa Saturday at Darrell K Royal-Texas Memorial Stadium, it's obvious the Longhorns have to play better than they did in losing to Maryland last week. There can be no doubt that Texas has to make a statement, and any opening-game jitters that affected it in the loss to Maryland have to be buried deep. The Longhorns dropped out of the Top 25 after the loss to Maryland and did not even get one vote in the poll. Texas is now 7-7 in coach Tom Herman’s short tenure on the 40 Acres. One of the keys to Texas being better on offense will be staying in the up-tempo attack that allowed it to score 22 straight points in the second and third quarters last week and take a lead that it would not hold. 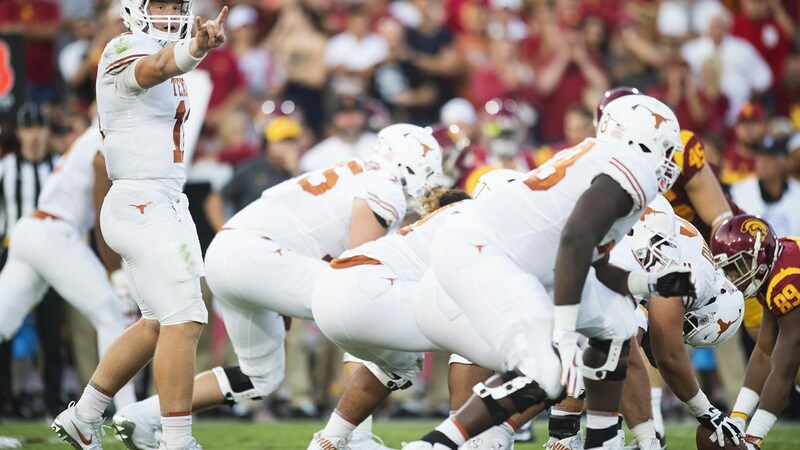 “When we're going fast, we aren't allowing the defenses get in their perfect calls,” Longhorns quarterback Sam Ehlinger said. “We're not allowing them to get to the perfect setup for each formation that they have in the game." A refined pace and approach will go far against Tulsa. “When we're going fast like that we all kind of pick up a momentum and a confidence level, because we're just chipping away at them slowly and slowly and slowly and finally we hit them deep," Ehlinger continued. Tulsa was a 38-27 winner over Central Arkansas – an FCS team that won 10 games last year — in its season-opener last Saturday. Shamari Brooks rushed for 129 yards and two touchdowns on 27 carries, and Corey Taylor II added 110 yards on 20 carries for the Golden Hurricane. It was the 10th time under fourth-year coach Philip Montgomery for two of the team’s rushers attained 100 yards or more in a game. Tulsa is 9-1 in those games. Both Brooks and Taylor were coming off injuries, with Brooks missing the final month of the 2017 season with a broken collarbone and Taylor missing all but the first two games with a broken foot. Taylor also broke away for a 22-yard run that led to a field goal in the third quarter. Texas knows the Golden Hurricane want to run the ball and they want to play up-tempo as well. Texas defensive coordinator Todd Orlando said Wednesday that Tulsa wants to run 90-100 plays in the game, and uses the run to set up the deep pass. Tulsa is already halfway to its win total from 2017, when it went 2-10 in an injury-wrecked campaign. Texas amassed 405 total yards in its Week 1 loss to Maryland but struggled to extend drives, going 3-of-15 on third downs. From 2002-09, Texas lost just four total games at home. But that’s changed in the past eight seasons as the Longhorns have been beaten 22 times at home since 2010.